TESCO Superstore is situated in an ideal position on Harefield Road, approximately a 0.39 mile distance south-east from the centre of Rickmansworth (a few minutes walk from Batchworth Park Golf Club and Teso Supermarket). This supermarket serves people chiefly from the neighborhoods of Berry Lane Estate, Rickmansworth Town Centre, Croxley Green, Moor Park, Mill End, Moneyhill, Batchworth Heath and The Cedars Estate. Doors are open today (Thursday) from 6:00 am - midnight, for those who would like to drop by. 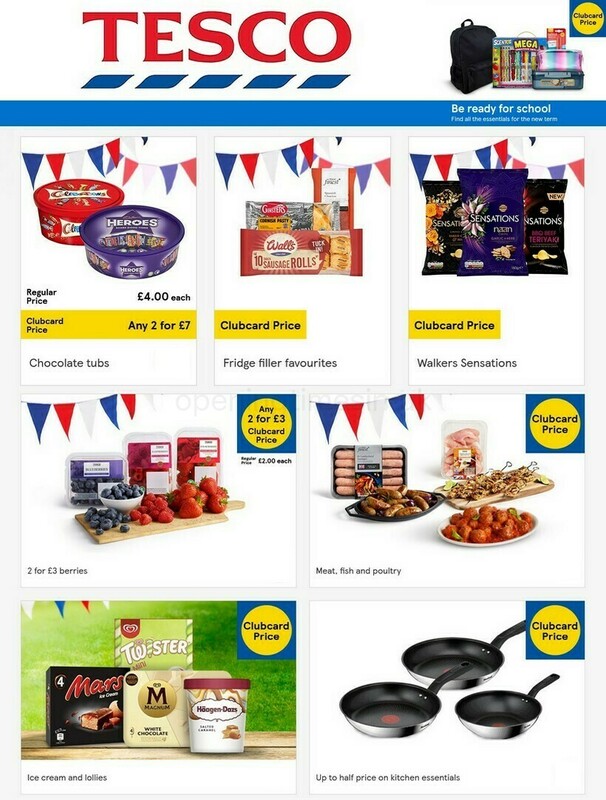 Please see the various sections on this page for specifics on TESCO Rickmansworth, Harefield Road, including the business times, local map, customer feedback and further information about the store. TESCO Superstore is found right near the crossroads of Harefield Road and Rushmoor Close, in Rickmansworth, Hertfordshire. This supermarket is simply a 1 minute trip from Landford Close, Church Street, Plaitford Close or Sherfield Avenue; a 5 minute drive from Riverside Drive, London Road and Park Road; or a 11 minute drive from M25 and Moor Lane. The postcode for your Sat Navs is: WD3 1LX. Take a bus ride to White Bear Ph, Stockers Farm Road, Tesco or St Marys Church. The tube runs to Moor Park Station (1.68 mi) and Chorleywood Station (2.75 mi away). Service via the line: Metropolitan. Direct train services run to and from Rickmansworth Station (2570 ft away). Constant service along the Chiltern Railways line. Around this supermarket you will come across Woodcock Hill Industrial Estate, Rickmansworth Park, St Mary The Virgin, Woodcock Hill Cemetery, The Nine of Herts, St Peters School Playing Fields, Saint Joan of Arc Catholic School, Moor Park Golf Club and Royal Masonic School For Girls. At the moment, TESCO runs 2 locations in Rickmansworth, Hertfordshire. Click here for a full index of all TESCO stores near Rickmansworth. Please be advised that daily working hours for TESCO in Rickmansworth, Harefield Road may not be effective during the holiday period. The aforementioned alterations are applicable to Xmas Day, Boxing Day, Easter Sunday or August Bank Holiday. We recommend that you go to the official site or phone the customer care line at 0800 50 5555 to get additional info about TESCO Rickmansworth, Harefield Road seasonal opening times. We work to deliver you with the most accurate information as possible. In the event that you find mistakes in the address particulars or operating hours for TESCO in Rickmansworth, Harefield Road, please let us know by making use of the report a problem form. Please feel free to help future patrons by expressing your opinions on TESCO in the box provided below.